Sterling silver tarnishes in the presence of common everyday items that contain sulfur, such as leather, rubber, chlorine, and perspiration. Other elements to be mindful of are air pollutants and salt water. Because these substances cannot be completely avoided, it is recommended that sterling silver be routinely wiped down with the white side of the polishing cloth that came with your piece. Regular wear of your DSD sterling silver can also help prevent tarnishing. 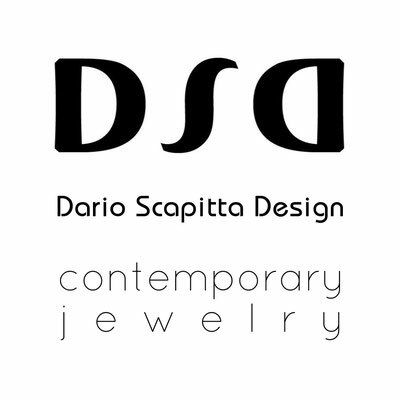 We recommend that you enjoy and wear your DSD jewelry every day. When not in use, store your jewelry in the DSD packaging that came with your purchase. Use the jewel cloth included to clean your DSD jewel or cotton cloth and mild dish detergent diluted in water. Apply the diluted dish detergent to the clean cotton cloth and rub the piece in one direction. Try to avoid circular motions. To remove heavier tarnish, wash your silver jewelry with warm water and mild soap. Never use anything but a clean, nub-free cotton or flannel cloth. If more thorough cleaning is required, an authorized jeweler can clean your pieces to restore them to a like-new condition. We recommend having your jewelry professionally cleaned once a year. Keep jewelry away from scratching, banging, chemicals of all kinds, swimming pools, hot tubs, extreme temps, and intense sunlight. Do not roll them onto your hand while clasped. Remove jewelry before doing gardening, cleaning, household repairs or any strenuous activities. Remove jewelry before swimming, bathing, taking shower or washing hands. Wipe your jewelry off with a soft cloth after wear and them in their box when not worn. If necessary, clean jewelry very gently with a damp cloth without rubbing to much, let it air dry if any moisture remains. If you require further information, please do not hesitate to contact us here.